Background: Numerous NCPEA awards are presented at the NCAAHPERD-SM State Convention each year. Please consider yourself or a fellow colleague for the awards described below. Deadline: The deadline for all NCAAHPERD-SM awards is June 10 of the current year. Background: Elementary, Middle, High School and Adapted PE TOYs advance to compete for similar honors in the SHAPE Southern District. Please note that SHAPE America membership is required for District and National TOY awards. Demonstrates evidence of excellence in teaching physical education and dedication to the mission and principles of the NCPEA/NCAPEA and NCAAHPERD-SM. * Membership in the NCPEA and NCAAHPERD-SM is NOT required. Background: The Amy Carroll and Sherry Little Memorial Convention scholarships provide two Healthful Living Professionals up to $400 to be used for registration fees, lodging, travel, and expenses to attend the NCAAHPERD-SM Convention. The scholarships serve as a memorial for Amy Carroll and Sherry Little, two Physical Educators whose untimely deaths occurred while en route to the 1990 NCAAHPERD-SM Convention. Background: NCPEA will provide a total of up to $1,000 each year in grants. Funds may be requested for program or professional development, including the following: to purchase equipment or software, to pay for training, to travel to a professional conference or other similar activities. Applicant must be a current member of NCAAHPERD-SM and NCPEA for at least the past three years. Applicant must be in the 6th year of teaching or beyond. Grant proposals should be submitted by June 10th of each calendar year. 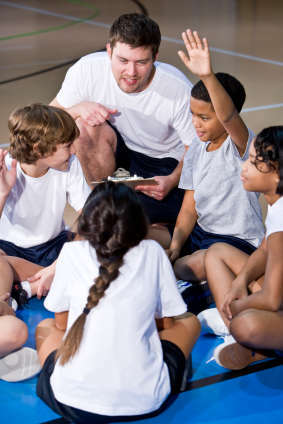 How many years have you been teaching physical education? How long have you been a member of NCAAHPERD-SM and PEA?